562 pages | 32 Color Illus. | 205 B/W Illus. "In February 2008, Dr Hosono and coworkers broke the striking news that they had found a new superconductor, LaFeAsO1–xFx with Tc = 26 K. This news immediately spread out in the world, and soon after its Tc was increased to 55 K. This breakthrough rekindled the superconducting research, which was in the state of a dying fire after the discovery of Cu oxide superconductor in 1988 and MgB2 in 2001. This book presents a comprehensive review on the present status of Fe-pnictide superconductors, including the material, a variety of experimental results (photoemission, neutron scattering, NMR, etc. ), theory, and so forth." "This timely book covers important developments in both experiments and theory and provides a much needed summary of the recent efforts in this active area of research. It addresses the original arsenic-based compounds and the ideas proposed to understand their magnetic and superconducting properties, with a variety of results from neutrons, photoemission, optics, nuclear magnetic resonance, and other techniques. The balance between early and recent developments establishes this book as an excellent source of information for both beginners and advanced researchers." 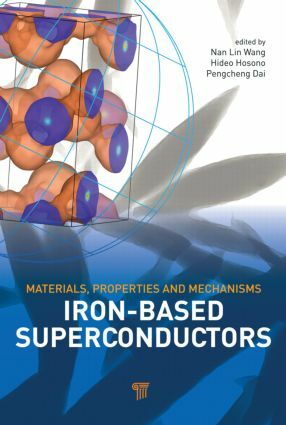 "The timely appearance of the first review volume on iron-based superconductors will greatly promote research on this exciting subject. The authors’ undisputable expertise guarantees its lasting value. It will serve as the primary reference for research students and all newcomers to this thriving field."